Sometimes, in trying to think through the history of the present, it’s helpful to begin at the end and work your way back. The reader who takes this approach to Ayça Çubukçu’s For the Love of Humanity: The World Tribunal on Iraq will be rewarded with a rich and productive starting point. The WTI attempted the impossible. It appealed to the “collective conscience of humanity,” where it located the source of its own authority. The WTI was a performance that produced reality. It acquired as much truth as people perceived in it. It made “the news” wherever it managed to take root, wherever antiwar movements were strong…. The WTI was not an event, but a multitude in action, a manifestation. It lasted as long as it acted. It constituted itself publicly among analogous struggles of the past and future. It took part in a tradition. As a labor of love, the WTI risked paternalism. It was too pleased with the participation of Iraqis in its processes as mere witnesses to their own suffering…. The WTI was conducted from the perspective of humanity, for the love of humanity. This was its animating energy, its strength, its weakness (158–59). Being confronted with the paradox that we want to end impunity but we do not have the enforcement power to do so, we have to follow a middle way between mere political protest and academic symposiums without any judicial ambition on the one hand, and on the other hand, procedural trials of which the outcome is known beforehand. This paradox implies that we are just citizens and therefore have no right to judge in a strict judicial way and have at the same time the duty as citizens to oppose criminal and war policies, which should be our starting point and our strength (164–65). I would humbly submit that this paradox around the impossibility of ending impunity for those state perpetrators who themselves have the power to define “crime” itself continues to be the major political problem of our moment. In this sense, if the WTI was—as Çubukçu describes it in her third thesis—“a performance,” it was a performance largely aimed at exposing, and therefore opposing, this hegemonic condition of global impunity. A war crimes tribunal that is both conditioned by and aimed against a state of impunity: the WTI truly “attempted the impossible.” Or, put differently, it did the necessary. Çubukçu has her own extended analysis of the platform text, and of the founding of the WTI more generally, in the book’s first chapter. But just as interesting is the fact that, as she notes in the introduction, Çubukçu herself was one of those involved in the drafting of this text. As an early organizer of the international committee that inaugurated the tribunal, as a co-convener of the first organizing meeting of what would become the WTI session in New York City (held in May 2004), and as a key organizer of and participant in the final session in Istanbul in June 2005, she was central to carrying out the work of the WTI while simultaneously acting as a chronicler and ethnographer of this activist network. Indeed, the notes for the initial planning meeting in Istanbul were assembled by a team of volunteers who transcribed her recordings of the discussions. This is “participant observation” at its most literal; one of the things that makes the book so fresh and engaging is the way Çubukçu narrates it as an ongoing process, rather than simply acting as an after-the-fact analyst. Many of the moments of both sheer euphoria and bottomless frustration that she describes—particularly in the section of the book entitled “Intermezzo: Can the Network Speak?” which tells the story of the moment at which the WTI network simultaneously reached its culmination and also began to fall apart—will be richly familiar to those who have done similar sorts of political/intellectual organizing. There is also a dark side to this familiarity. Coming out as it does fifteen years after the commencement of the war on Iraq, the book forces us to ask: what, really, have those of us who consider ourselves part of what was once called “the global anti-war movement” done by way of effectively opposing the still-unfolding horror unleashed upon Iraq? Have we succeeded in bringing any form of “justice” to anyone, or really affected the global impunity that still defines our times? So any pretense towards disinterestedness on my part would be absurd. However, I can say that, even without a personal connection, For the Love of Humanity speaks to a whole host of political and intellectual issues that I continue to struggle with: the question of what might comprise a useful form of international solidarity in our current political moment; how to bring political organizing and intellectual labor together, without either lazily assuming that one automatically implies the other or on the other hand erecting some sort of self-evident division between “activists” and “intellectuals”; how to think about the interaction, or lack thereof, between cultural work and politics, and whether it is still worthwhile to talk about something called “cultural politics” today. Even without any previous knowledge of the WTI, if this book were to have just fallen into my lap, I would say: I’ve been waiting for this. But perhaps the problem of “disinterestedness” itself should detain us for a moment. What would it mean to be a disinterested reader of a book documenting an activist project to demand accountability for the countless atrocities committed by the United States and its allies in Iraq? For that matter, what would it mean to respond disinterestedly to a war? The other side of this question—the one that sets off our most pious responses—is the question: Why should we care? Çubukçu puts this very question before us from the outset, orienting everything around it: “why do we care about justice, about the freedom and the happiness, the life and the death of each other, here and there?” (7). Rather than answer her own question, Çubukçu continues: “An answer offered by the World Tribunal on Iraq could be: for the love of humanity” (7). In the final words of her final thesis, at the very end of the book, she will suggest that the WTI’s grounding in the love of humanity “was its animating energy, its strength, its weakness” (160). It is to her credit that Çubukçu resists the temptation to simply pick a side: to either simply set out to demolish the weaknesses of such a humanist grounding or to use soaring rhetoric to glorify its strength. Çubukçu rather names the problem and leaves us to sit with it. The problem that she puts her finger on—that both the WTI project and the project of the Iraq War itself claimed to be motivated by a particular form of cosmopolitanism—is precisely that: a political problem that demands of us better political approaches, not simple for-or-againstism. A fuller description of the book would note that in addition to combining ethnography and activism, For the Love of Humanity is deeply immersed in debates in political theory. Benjamin, Arendt, Agamben, Schmitt, Andrew Arato, Wendy Brown, Hardt and Negri, and Habermas occupy prominent positions in its arguments. Çubukçu in fact frames the inauguration of the WTI in 2003 through a discussion of Habermas’ and Derrida’s co-written article “February 15, or What Binds Europeans Together: A Plea for a Common Foreign Policy, Beginning in the Core of Europe,” published jointly in Frankfurter Allgemeine Zeitung and Libération in May 2003. Whatever the lasting legacy of this short-lived alliance between French and German theory, some readers will quibble with the moments when Çubukçu steps back from narrating concrete aspects of the WTI to engage closely with theoretical debates. For other readers, however, the debates themselves will be the point. At any rate, it is rare to find a book so willing to move between abstract political theory and concrete political action without privileging one over the other. There is much more that can be said, but in the spirit of interestedness, let me turn to three aspects of the book that were of particular interest to me. The first, as already noted, has to do with the ongoing question of how to struggle against impunity. In this sense, For the Love of Humanity allows us to revisit a particular moment in the history of this ongoing struggle. The year 2003 marks the apex of the Bush doctrine, the post-9/11 commitment to pre-emptive strikes and war without end that still constitutes the unspoken common sense of U.S. foreign policy. Today, liberals and moderates alike wring their hands over the extent to which Donald Trump has “eroded norms” and fret over an imperial presidency unchecked by law. They conveniently forget the ease with which Bush, Blair, and their allies literally decimated the norms of international law. As for impunity, not only are the war crimes of the Bush administration largely forgotten, but this butcher against whom millions protested in 2003 has been rehabilitated, at least in the U.S. political mainstream, into the figure of a loveable elder statesman, a voice of moderation. To borrow a phrase from Christopher Hitchens, one cannot eat enough to vomit enough at this turn of events. But the period documented in For the Love of Humanity marks another important moment in global struggle and international solidarity, in relation to Palestine. I’m thinking in particular of the efforts by Palestinian legal and civil society organizations that led to the International Court of Justice issuing an advisory opinion in July 2004 ruling that Israel’s building of a wall in the West Bank was illegal; the ICJ declared that construction needed to stop immediately, and that Israel should make reparations for any damages caused. In the event, of course, precisely nothing came of this decision. This is the exact problem pointed to in the WTI platform statement: without any power of enforcement, declarations of illegality become mere performances of justice. Indeed, one could argue that the non-enforcement of such “verdicts” in fact strengthen the sense of impunity enjoyed by those who are allowed to literally get away with murder. But this performance of “justice,” followed by the enjoyment of impunity by the perpetrators, in turn set in motion a different kind of international solidarity project: the Boycott, Divestment, and Sanctions (BDS) movement. In fact, the statement of principles that has come to be known as “the BDS call,” issued collectively by a number of Palestinian civil society organizations (many of which had previously worked together on the ICJ case), was issued on the first anniversary of the ICJ ruling. It begins by noting: “One year after the historic Advisory Opinion of the International Court of Justice which found Israel’s Wall built on occupied Palestinian territory to be illegal, Israel continues its construction of the colonial Wall with total disregard to the Court’s decision.” The call for BDS was thus a direct response to this state of impunity. I will admit that “global civil society” is not generally a phrase that evokes revolutionary fervor. But it was to something defined as “global civil society” that Palestinian activists, and those working in solidarity with them, addressed the call to boycott in 2004. In the subsequent fifteen years, this movement has become a global political force to be reckoned with. It has not, to our horror and dismay, changed the situation on the ground for Palestinians. But in the United States, and elsewhere, it has shaken the silent consent that has underwritten global complicity with the colonization of Palestine. This explains why it strikes such fear among supporters of Israel’s actions, especially U.S. elected officials. Unlike unenforceable legal declarations, it holds the possibility of actually enacting consequences. In this context, For the Love of Humanity allows us to ask a question: What would a similar global civil society movement, aimed more broadly against U.S. empire, look like? What if the global anti-war movement had opened up into such a broader movement? Might it still do so? If so, intellectuals based in the United States will have much to learn from the small but growing number of Israeli intellectuals and activists who have been willing to stand up and say: we agree, please boycott us. This gets us to another value of this book: it is written as, and functions as, a gift to those wanting to understand—and, more important, take part in—political movements. This has something to do with Çubukçu’s willingness to ask the large questions that too often get taken for granted—not just “Why do we care?” but, at a fundamental level, “Why are we against war?” and “Why do we think about those who are far away from us, those we have never and likely will never meet?” Having asked them, she provides us with, if not answers, at least a theoretical and practical framework within with to address such questions. At the other end of the spectrum, Çubukçu’s narrative of the founding, rise, and dissolution of the WTI as a political project pays close attention to the most everyday aspects of political organizing. How is trust built (especially in platforms that work largely via email or other electronic mediation), and how does such trust break down? How do groups work through, not just philosophical and ideological differences, but also different ways of being in a space together, especially when these are marked by gender, racial, and other forms of privilege? What happens when a project with an explicitly cosmopolitan commitment attempts to carry out its work in English, the ultimate imperial language? Is “translation” sufficient? How do “accents” come to function as either markers of “authenticity” or, more often, as marker of insufficient understanding? (As Çubukçu notes in a footnote that is both poignant and infuriating, “During the first WTI organizing meeting she attended in New York City, an American lawyer who was shocked by the number of people speaking with ‘foreign’ accents, felt the need to ask upon her arrival at the meeting: ‘Do you all speak English?’” [192n9].) Is it possible to enact international solidarity without, even implicitly, reinscribing certain forms of national sovereignty, not to mention national identity? In terms of the actual functioning of the WTI as a global network, one other logistical question came to the fore as perhaps the most significant point of crisis: how to square the democratic necessity of functioning via a consensus model while at the same time responding effectively to the demand to act quickly and decisively. This question proved decisive in the immediate aftermath of the WTI’s culminating session, held in Istanbul in July 2005. It emerged most clearly some weeks later, in the decision of the Brussels organizing committee—which, taking direct inspiration from the Russell Tribunal that acted against the Vietnam War, called itself the BRussells Tribunal—to circulate a letter protesting Amnesty International for their memorandum addressing the Iraqi constitution. The concern expressed was that, by addressing the draft constitution as it would any other national document, AI was thus legitimating the “provisional government” that had been installed in Iraq by the U.S. occupation forces. The BRussells Tribunal suggested that this letter of protest be circulated with the “signature” of the full global WTI network. The disagreement over this proposal—which Çubukçu sees as ultimately leading to the dissolution of the WTI as an active project—was not so much around the assertion itself; while some thought that a protest against AI was less productive than one aimed at more directly culpable parties, there was general agreement about the illegitimacy of the provisional government and the so-called “constitutional process” (Çubukçu makes an extended and interesting parallel between this “constitutional process” in Iraq and the process of constituting the WTI itself in the book’s third chapter). The problem, rather, was ultimately one of process: could an individual local/national organizing committee act in the name of the WTI as a whole, or was some form of agreement among the complete network needed before such an action could be taken in the name of the WTI network as a whole? What Çubukçu narrates is likely to be familiar to anyone who has attempted to function effectively within such a consensus system. For one thing, the principle of horizontality, which was from the beginning a central tenet of the WTI, was claimed by both sides for opposite purposes. Those who opposed the principle of individual committees acting in the name of the entire network without further consultation based their opposition on the notion that the WTI’s non-hierarchical system required the consensus of all; the BRusells Tribunal and their supporters, on the other hand, argued that horizontality meant precisely the opposite: as one supporter of the Amnesty letter wrote to the international organizing email list, “We are a horizontal network with independent cells, who can take initiatives as they see fit. So we do not have to await or take orders from anybody” (116). which brings me to the last point on decision-making: it is not terribly self-evident, at least to me, how a global network can or should make decisions, if at all. does a non-hierarchical network necessarily mean that the network as such has no signature? perhaps. does it mean that it should not even attempt to reach any decisions as a network? perhaps. if it decides to make decisions, should the network operate through majority rule or some tools of grassroots democracy such as consensus? and if consensus is preferred, then which among the many varieties of consensus decision making, fit for many people who habitate across the world, should be practiced? an endless sea of questions, whose answers are not necessarily required for action, as the global wti-network has demonstrated (125). I can imagine many readers may be frustrated by this refusal to take sides; as a partisan in that email debate, I will admit to finding it to be so at the time. But viewed now, in the context of the question of the enduring significance of the WTI, I suggest that this refusal to choose represents the most promising choice of all. For what matters most here is Çubukçu’s final point in her email, one which is repeated throughout the book: that the fact that the WTI network never succeeded in evolving a true “process” did not prevent it from acting decisively, and indeed might even have been what allowed it to fulfill its mission: to “create a global platform where the invasion and occupation of Iraq could be collectively judged,” as Çubukçu puts it (158). Choosing not to choose, the WTI network nevertheless acted. This might allow us to see the WTI as an early example of more recent movements that have followed a similar model of horizontality and consensus, and of choosing not to choose: Occupy, Black Lives Matter, the Gezi Rebellion, the revolutions and popular uprisings lumped into the category of the “Arab Spring,” and any number of other youth-led movements around the world. These movements have encountered the usual questions asked of older forms of political organizing: What are your demands? Who do you represent? Are you succeeding or failing? What, precisely, are you up to? None of these movements are naïve about the horrors that they oppose, or about their ability to, in the short term, truly ameliorate them. Certainly none would claim “victory” in any real or final sense. But they provide us with an important lesson in political temporality. Faced with the urgency to act, they refuse the too-easily-assumed temporality of “now or never.” They are processes, manifestations—in other words, popular movements. Çubukçu’s sixth thesis puts the WTI firmly within this tide: “The WTI was not an event, but a multitude in action, a manifestation. It lasted as long as it acted. It constituted itself publicly among analogous struggles of the past and future. It took part in a tradition” (158). Within such a process, success and failure are just different moments; failure, in particular, is a thing from which to be learned. Failing better, we might suggest, is how things change. Let me conclude with what I find to be the most significant failure of the WTI network, one from which we might learn much today. Aiming itself against Western intervention, it missed the chance to become a movement of true international solidarity. In this, it reflected the failings of the “global anti-war movement” more generally. Çubukçu, as noted, marks this failing in her seventh thesis. But I think she underplays it somewhat in For the Love of Humanity—although interestingly, she has put her finger on it brilliantly in her work elsewhere. This failure within the WTI—ultimately, I would argue, a failure of imagination as much as anything else—became evident to me as an organizer of the WTI, first in New York City, and then as part of the “global” committee. It was surprisingly difficult to maintain what seemed to be the minimally necessary position: absolute opposition to U.S.-led intervention—whether military intervention or the “softer” intervention of the criminal and murderous sanctions regime—coupled with unstinting support for Iraqis struggling against Saddam Hussein’s dictatorial regime. To my growing consternation, I found myself criticized by European activists within the WTI network for even describing Saddam as a dictator; I was a dupe of U.S. propaganda, an unwitting stooge of empire. One activist from Brussels, who had by his account spent time in Iraq, described it enthusiastically as a veritable socialist paradise (this was also a view disturbingly reflected by a few anti-war groups in the United States, mostly those associated with the International Action Center). This position became exacerbated within the WTI network as resistance to the U.S.-led occupation intensified. Maintaining the legitimacy of all resistance against a militarized and violent occupation—including so-called “violent” resistance waged against occupying forces—was seen by some in the network as insufficient. We, as complicit Europeans and Americans, were not in a position to criticize any actions or aims of the resistance in any form. This tension had already begun to manifest itself in the culminating session in Istanbul. 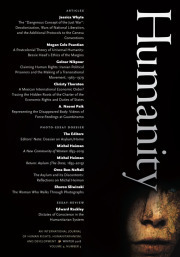 Speakers who offered criticisms of those seen as part of the resistance to U.S. empire, including Saddam himself, found themselves the object of hostility; some described to me afterwards the extent to which this embittered them towards the whole project, despite their belief in its necessity. My own experience of the debate that marked the dissolution of the WTI was that it had less to do with the proposal being debated—the BRussells Tribunal letter to Amnesty International—or even with the question of process. It had to do with a real political split that had come to the fore precisely through the work of organizing together; for me, as an active participant in this debate, this had to do, ultimately, with a loss of trust—not just personal trust, but the belief that all of us were in fact engaged in a shared political project. I expressed this to a fellow organizer at one point as an exasperation with U.S.- or Europe-based activists who, on the one hand, were willing to do whatever was necessary—who, indeed, might even be willing to risk their lives—to oppose Western intervention in Iraq; but who, at the same time, seemed oblivious to their willingness to condemn Iraqis to living under a regime that they themselves would never consent to tolerate. Anti-interventionism marked the limits of their political imagination, and thus of their limited form of political solidarity. what resides in the difficulty of distinguishing acts of transnational solidarity from acts of foreign intervention are the mutable borders of the political communities we imagine, the importance we attach to their “autonomy,” and who we take to be the proper subject of politics within those borders. Without those borders, as one might wish, neither the distinction between “national” and “foreigner,” nor the distinction between “solidarity” and “intervention” would make much sense. What if we had been able to imagine the World Tribunal on Iraq not just as an international effort to oppose impunity, military intervention, and war crimes, and had gone on to imagine the WTI as itself a non-violent intervention in the form of international solidarity? And given that, as Çubukçu’s penultimate thesis maintains, the WTI “was correct in predicting perpetual war as a consequence of Iraq’s occupation by the United States, the United Kingdom, and their allies,” how do we best learn from this failure and keep acting—whatever multitude wishes to constitute this “we”? In For the Love of Humanity, Ayça Çubkçu returns to us the gift of love in its truest sense: pure, fierce, and unsparing. So must we be now in meeting the task she has set us. The ongoing work of Zahid Chaudhury on impunity as a political concept is particularly important here. See, for example, “Impunity,” Political Concepts 5.1 (2018) and “This Time with Feeling: Impunity and the Play of Fantasy in The Act of Killing,” boundary 2 45, no. 4 (2018): 65–101. See, for example, Marina Sitrin, “Occupy Wall Street and the Meaning of Success,” n+1, September 2012; and “Horizontalism and the Occupy Movement,” Dissent, Spring 2012. Alaa Abd El Fattah and Ahmed Douma, “Graffiti for Two… Alaa and Douma,” Mada Masr, January 25, 2014. Elif Babül, “‘It Is Still Early to Write the History of Gezi’: An Interview with Mücella Yapıcı,” Middle East Report 288 (December 2018). For a powerful extended critique of precisely this tendency within the anti-war movement, see Nadje Al-Ali, “‘The Enemy of My Enemy is Not My Friend’: Women’s Rights, Occupation, and ‘Reconstruction’ in Iraq,” in The Situated Politics of Belonging, ed. Nira Yuval-Davis, Kalpana Kannabiran, and Ulrike Vieten (London: Sage Publications, 2006). Bassam Haddad, “The Idiot’s Guide to Fighting Dictatorship in Syria While Opposing Military Intervention,” Jadaliyya, January 20, 2012. Khalil Issa, “When the Entire Planet Is Against the Revolution,” translated by Ziad Abu-Rish, Jadaliyya, February 24, 2012. Ayça Çubukçu, ““The Responsibility to Protect: Libya and the Problem of Transnational Solidarity,” Journal of Human Rights 12, no. 1 (2013): 54. I have addressed this point in more detail in the final chapter of my book Frantz Fanon and the Future of Cultural Politics: Finding Something Different (Lanham: Lexington Books, 2014). See also Ayça Çubukçu, “In Solidarity: Rethinking Political Friendship,” Tanqueed, November 2016. Anthony Alessandrini is Professor of English at Kingsborough Community College and teaches in the MA Program in Middle Eastern Studies at the CUNY Graduate Center, where he is also a member of the Committee on Globalization and Social Change. He is the author of Frantz Fanon and the Future of Cultural Politics: Finding Something Different, the editor of Frantz Fanon: Critical Perspectives, and the co-editor of "Resistance Everywhere": The Gezi Protests and Dissident Visions of Turkey. He is a co-editor of Jadaliyya E-Zine.